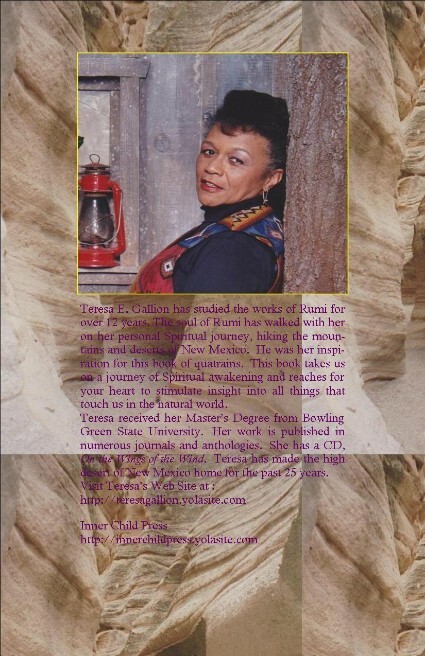 I met Teresa in 1998 at a Ghost Ranch writing retreat. We share a common bond, a love for writing. That bond resulted in the exchange of work that led to a mutual understanding of each other’s voice and a lasting friendship. Teresa’s voice continues to grow while remaining grounded in her love of nature and the spiritual implications of walking the earth. Teresa weaves the physical and spiritual universe with a slant that compels the reader to think about life from a different perspective. This collection includes work from over a 30 year time span. Teresa examines childhood rituals, love, pain, grief and joy and the underlying spiritual aspect tied to all experiences. She is clearly in tune with the intricate web of the natural and spiritual world, as evidenced in the title poem Chasing Light. The poem addresses the challenges we all face on the journey of life. The humor in the poem, This is Your Happy Meal, is a form of chiding self-respect about humanness. She teases us with the line, sacred greens and the cornbread of light. Never heavy handed, Teresa addresses many social and political issues in her writing without preaching solutions, as exemplified in Don’t Mess with Me, where she quite literally gives a voice to our living planet. 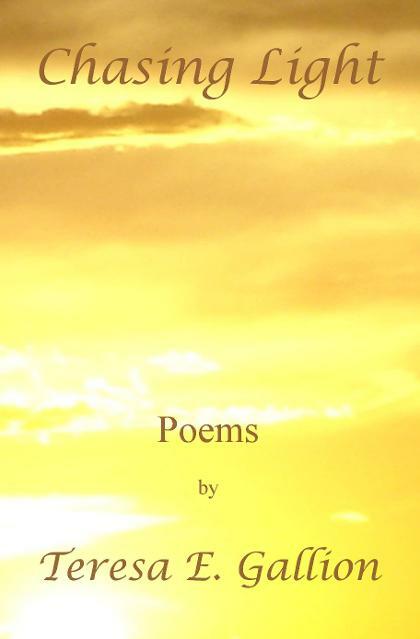 Sit back, read a few poems at a time and see which ones are likely to strike a previously unacknowledged sore or celebration in your soul, a yearning in your heart, or a beautiful memory of magic. I am blessed to live in a high desert sanctuary where the sun shines more than 325 days a year, where the blue vaulted sky sports the most spectacular clouds and the night sky twinkles with ecstatic brilliance. Add to that the indescribably beautiful New Mexico landscape that draws artist and writers from all over the world. Within that context, I often find my head in the clouds whether walking the city streets, a desert arroyo or a Ponderosa Pine trail. For me, the New Mexico landscape is sacred ground. To share this space with the soul of Rumi is a blessing. I became intimately acquainted with Rumi (13th century Sufi mystic and poet) over the past 12 years, sharing moments of quiet reading and reflection when one retreats from the tasks of daily living. Rumi resonates with my heart and soul as I sit in my rocking chair at home, as I sit by my morning campfire, as I sit in a natural hot spring in the mountains, as I sit by a river gently flowing past, as I sit under a Juniper Tree in the middle of the winter desert. 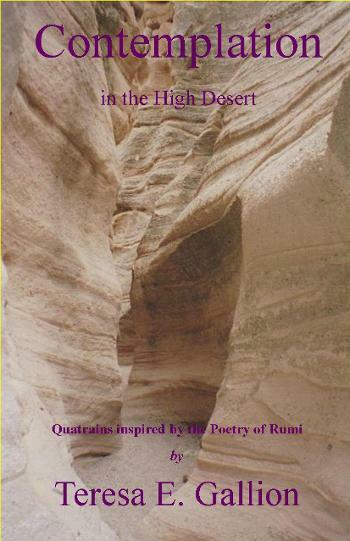 No matter where I read Rumi, I am always inspired to write quatrains in response to the lyrics of wisdom that sing to me. He makes me laugh and cry, stand in righteous indignation, tremor with ecstatic joy and sometimes I dance, especially at home. All of these emotions flow into four line verses that respond to whatever touches me in that moment. I did not start writing quatrains with the intent of publishing a book. My dear friend and colleague, Debbi Brody, would see a few of them every year when we attended the annual writers festival at Ghost Ranch Conference and Retreat Center in Northern New Mexico. She always said, “You need to put these together in a book.” So I finally listened to that gentle nudge of Spirit coming through Debbi. When I put the quatrains together as a collection, I realized the significance of what I had been doing for so many years. I was unfolding spiritually at a pace I could handle. 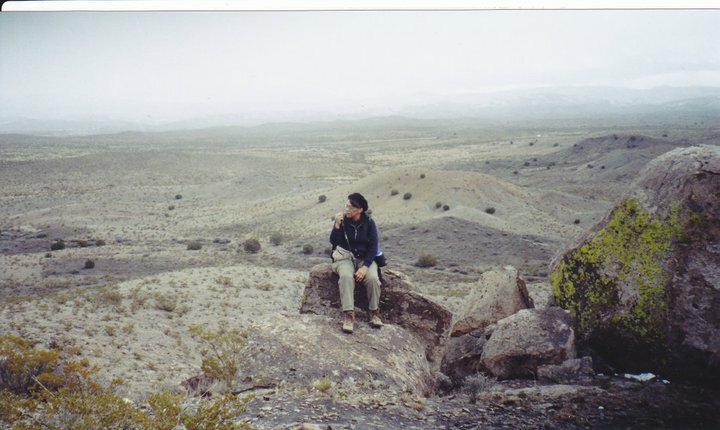 Contemplation in the High Desert has become a love offering to all who spend time in quiet reflection, contemplation or meditation. Each quatrain stands alone and may be used to start or end your day. If you are a writer, I hope it provides prompts to jump start your writing. If you are an artist, I hope it stimulates your creative juices. Regardless, I hope these quatrains stimulate your inner journey of self. Most of all, I hope they provide a partner to sit with and simply reflect on life. I invite you to sit in a quiet space that gives you solace and taste the flavors of these quatrains. You may find some that will tickle your taste buds. The menu is diverse. Indulge yourself and may you find something that nourishes your Spirit. I like it when the musician, author or poet behind the words or music match in tone what I am reading or hearing in their work. I met Teresa before I heard her poetry, so learned that part first. She has a strong presence you can feel when she enters a room, and a gentle, velvety voice. Teresa is confident, grounded and earthy. She is a joy just to be with and laughs easily. I love it when she shares stories about her treks in the New Mexico mountains and desert and weaves the deep revelations that come as she hikes. So as I read the quatrains in this book, and read lines like “I hear God laughing,” or “Awakened to the Master’s touch,” or “Watching angels Spar in the velvet night,” I know they have more meaning and realness than they would from anyone else. Teresa has actually heard God laughing. You can hear it in her own laughter as she stacks chairs with me after a worship service or a gig. She has indeed awakened to her Master’s touch. It shows in her eyes and in the way she treats those around her. When Teresa writes, “The truth stands / next to the blade of grass / it strokes your leg /every time you walk across my land,” it is not simply a pretty poetic metaphor - she has felt both the blade of grass and the Truth standing next to her. She absolutely lives that way. And readers will know or sense this as they delve into these quatrains. I have seen and felt the deep spirituality she lives and practices every day; she has read the works and teachings of Rumi for many years and exudes the same kind of genuine spiritual knowing. How honoring that her feet and mine walk the same dry, desert ground, and match in the spiritual and earthly energies. Yes, Teresa is my favorite kind of artist: one whose words are an extension of the Soul through which they emanate. I invite you to take a spiritual journey in the pages that follow, inspired by the poetry of one whose words and being are one.